Earlier today, I shared a few ways to have fun as a family the old-fashioned way­—without electronics. 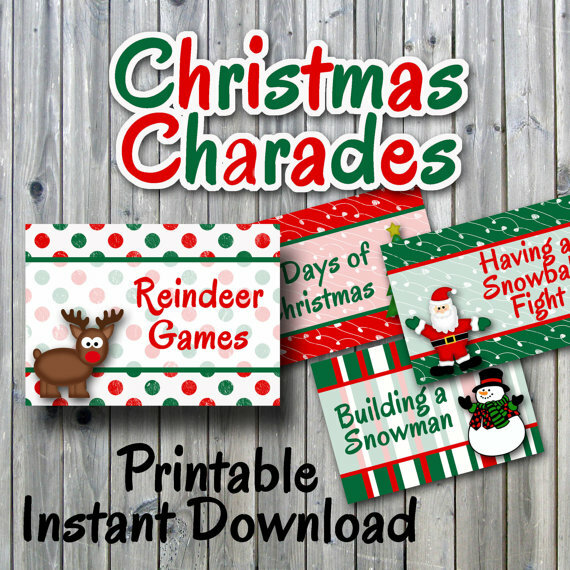 Since I’m pretty passionate about families spending time together without craning their necks over screens, I was delighted to find this printable game of Christmas charades. For a mere two dollars, you can download and print this game from your home computer. The digital file comes with 32 different prompts as well as 8 blank cards so you can create your own prompts. What charade prompts would you write on the blank cards? Let me know in the comments below!